Glasgow-based Castlight Financial has partnered with HSBC UK in the delivery of the bank’s first open banking loan. Following a test and pilot programme, HSBC UK used Castlight’s categorisation technology tool, or Categorisation-as-a-Service (CaaS), to process a live loan for a customer. Martin Leonard, Castlight’s chief operating officer, says the bank’s lending team and underwriters “will have unprecedented insight into a customer’s financial wellbeing at the touch of a button”. Castlight explains that after the customer had linked their bank account to HSBC UK, the bank used its open banking technology to pull down all the transactional data. HSBC UK then ran this data through the CaaS engine, which categorised income and expenditure into 155 categories, summarising income streams, credit commitments, essential costs and discretionary spending to reveal a monthly disposable income. The information was then merged with credit performance data and in “under ten minutes” HSBC UK had the information they needed on which to make a lending decision. 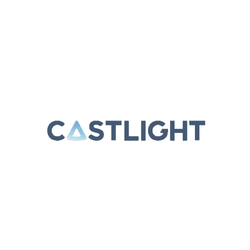 Earlier this month, Castlight Financial revealed it was partnering with Paradigm Mortgage Services and Foundation Home Loans to launch a pilot of its affordability tool powered by open banking technology. Meanwhile, HSBC UK has been recently turning to other firms for open banking action. Last week, it created the “first live” use case of open banking for credit applications using the InterConnect cloud platform from Equifax. In addition, account information service provider (AISP) Consents Online will provide HSBC UK with access to the transaction data of consumers from other organisations under the UK’s open banking programme. Why is consents.online needed if Castlight can pull the transaction data?